Make your practice sessions a game play. Learn to play the harmonica with instant feedback. 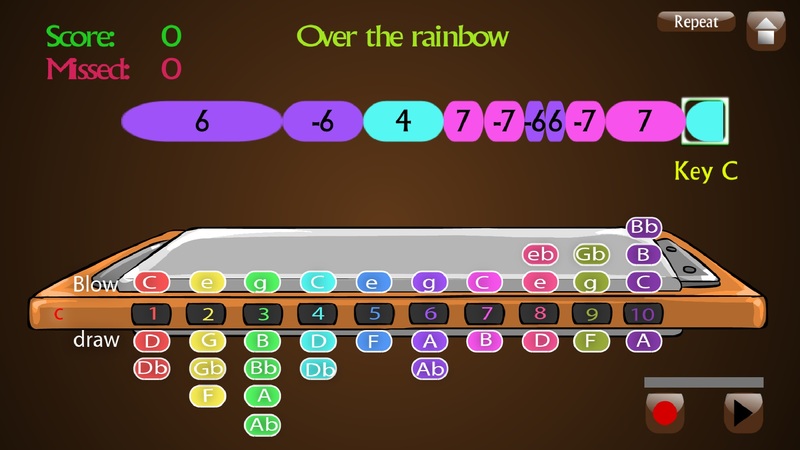 Harp Hero app will show you tabs and checks if you are playing them in the correct time and in the correct pitch, you will get an instant feeback graphicaly. The app has an arcade mode and pro mode to help you learn to play and practice. 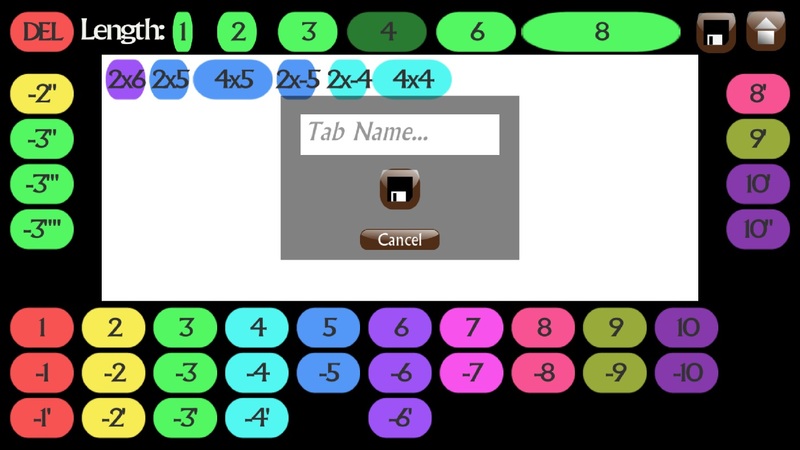 You will also find a tab editor in the app to add your own songs, blues riffs or what ever you would like to practice and even share them. A demo for android is available here. 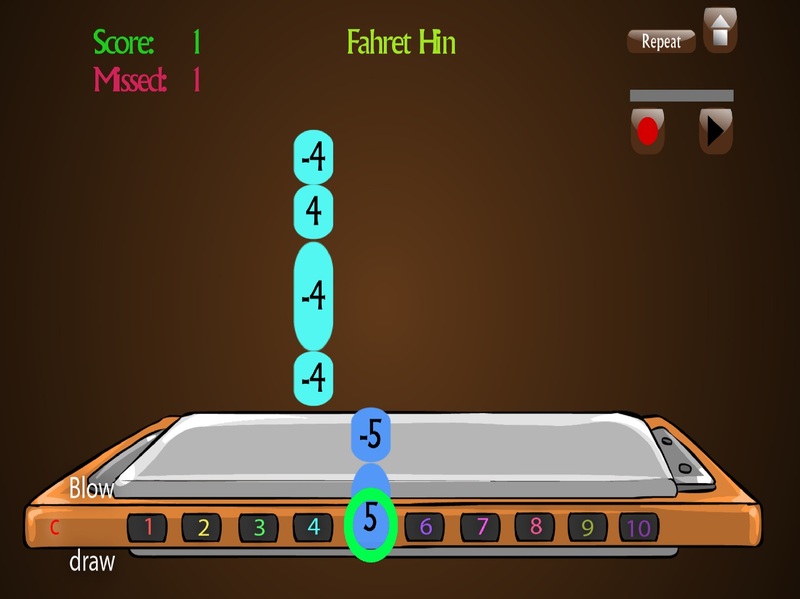 In the arcade mode you will learn in a game style where the tabs fall into the harmonica and you need to play when they reach the harmonica holes. In the pro mode the tabs go from left to right into the playing box while you can see the exact note being played. Copyright (c) 2016 Nadav Solomon.